to improve the quality of life throughout Missouri. Economic dignity, racial equality, and inter-faith cooperation for all. Poverty, financial predation and health disparities are co-conspirators in the negative health and the extraction of wealth that exist in too many communities across Missouri, especially communities of color. Missouri Faith Voices believes a better and different future is possible if we work together. A future in which everyone belongs, is treated with dignity, and has a chance to thrive. A future in which everyone has access to fair credit, livable wages, and health insurance. 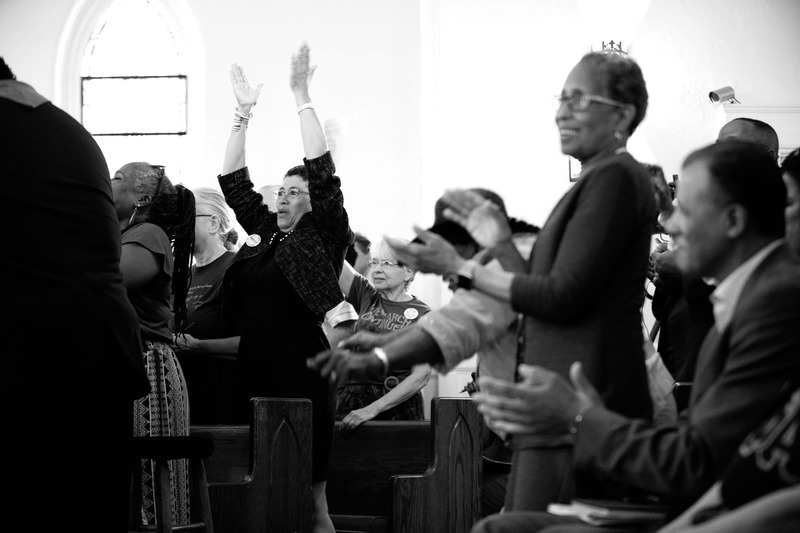 Missouri Faith Voices is a multi-faith, multi-racial organizing effort to bring forth that vision. Join us! Learn more about our vision for Missouri. Learn more about joining MFV. Reach out and let’s get connected!